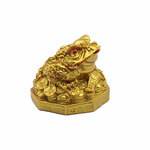 Welcome happiness and prosperity in your home! Read the mythological history behind Dussehra and find out the auspicious time to start off the puja rituals. India has drowned itself into the felicitous vibes of one of the most favorite festivals, Dussehra. It is celebrated on the tenth day when Navratri ends, called Dashmi, of Shukla Paksh in Ashwin month during Aparahan Kaal. Also called as Vijayadashmi, this festival marks the victory of “good over evil” and is known for its magnificent festivities. 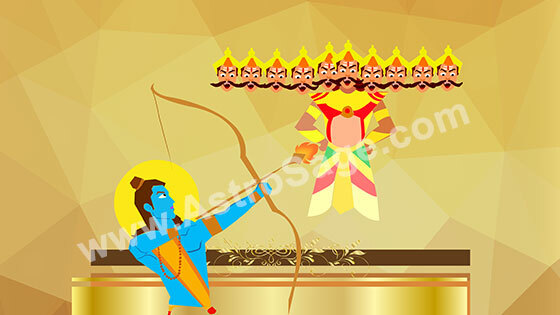 The festival of Dussehra is considered as one of the holiest days of the year. It is known to be one of the auspicious times as per HIndu mythology, other muhurats being Chaitra Shukla Pratipada, Ashwin Shukla Dashmi, Vaishakh Shukla Tritiya, and Kartik Shukla Pratipada (half muhurat). This period is best to start any work/business/job, although there are specific rituals to be followed for certain ceremonies. It is believed that when stars start to appear during sunset, that exact time is called VIjay Muhurat. 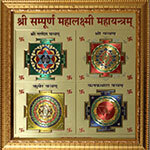 This particular time period is auspicious to carry out any ritual or puja ceremony. As believed, this was the exact time Lord Ram chose to start off a war with evil King Raavan. At the same time, a tree named Shami reshaped itself as Arjun’s bow called Gandeeva Dhanush. Accordingly, Maa Durga fought the evil demon Mahishasura for nine days, and killed him on the tenth day, thus protecting Earth and all of universe. Another popular legend is that on this day, Lanka King Raavan was killed by Lord Ram, thus the name Dussehra. Every year the effigy of Raavan with ten heads are burned to mark the end of evil, greed, illusion, jealousy, selfishness and arrogance. AstroSage wishes its readers a very happy and fulfilling Dussehra 2017! Know about the glory of Maa Siddhidatri! On the ninth day of Sharad Navratri, praise Goddess Siddhidatri and know about the auspicious time for worshipping and significance of Durga Visarjan. In literal terms, Siddhidatri means the provider of spiritual and meditative powers and abilities. She is the ninth representation of Maa Durga and is widely worshipped on the ninth and last day of Navratri. Getting blessed by the divine Goddess is equivalent to attaining Moksha. Any devotee who follows a proper conduct and worships her with pure intentions is bound to get his dreams and aspirations fulfilled. Durga Mahanavmi Puja is conducted on the ninth day, which is followed by hailing all gods and goddesses in front of holy fire and offering prayers. On the second day of Durga Puja, devotees bid farewell to colorful idols and statues of Goddess Durga after offering prayers and immerse them into sea. This act is popularly called Durga Visarjan or Immersion of Maa Durga. The auspicious time starts after the first ray of Vijaydashmi or Dussehra’s morning and ends with the last stream of light. Durga Puja is a big festival in West Bengal and is signified as a time to reunite with the holy light. Sindoor Khela or Utsav is an interesting tradition played on VIjayadashmi before the immersion. Married women apply sindoor or vermilion on Maa Durga’s idol, then apply on each other’s foreheads and iron bangles and wish them a happily married life. As per the scriptures, Navratri Paran is celebrated on the tenth day and marks the time to end the holy 9-day Navratri fast. After the fast is broken, Brahmins are made to sit on a clean pedestal and offered fruits, gifts, clothes and alms. AstroSage wishes the best for you and your family on this Sharad Navratri 2017! Why Kanya Pujan is of much significance! Read the significance of the eighth day of Navratri, Kanya Pujan and the right way of conducting a holy luncheon. Also know more about the prowess of Goddess Mahagauri and her different forms. The eighth day of Navratri is solely dedicated to the fearless avatar of Maa Bhagwati, Maa Mahagauri. She is portrayed as a brave entity with three eyes, four hands and a fair complexion like a conch, hence her name as Gauri. Worshipping her eliminates all the leisurely greed from within people. 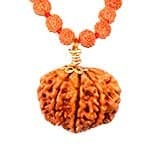 Hailing her name and worshipping her brings prosperity and peace, and helps you attain Som Chakra. Goddess Mahagauri is also known as Annapurna or the Provider of Food and known to bring every kind of financial and emotional wealth. Worshipping Mahagauri helps you take the right path of truth and virtue. She had an extremely fair complexion, was beautiful and often pictured as wearing white clothes itself. She is depicted with four arms, out of which two are seen holding a Trident or Trishul and Damroo or Tambourine and the other two are in fearless (Abhaymudra) and blessed (Varadamudra) form. Her head is graced with a moon-shaped crown and she glows radiantly like a gemstone. Her mount is bull. She is mainly offered halwa or a sweet dish. It is believed that Maa Parvati went through severe austerity or tapasya in order to attain Lord Shiva as her mighty husband. Due to this rigorous procedure, her body complexion grew darker. After watching this, Lord Shiva appeared in front of her and made her bath in holy waters of Ganga, hence washing away the darkness. From that day she regained her pearl-like complexion and got the name Mahagauri. You must gather nine girls aging from 2-10 years. Wash their feet and offer new clothes. 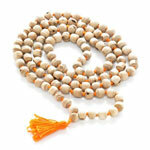 Apply a small Tilak from Sandalwood-Vermilion or chandan-kumkum paste while chanting the above mantras. Offer simple food such as Puri or Deep-Fried Wheat Bread, Chana or Chickpeas, Suji ka Halwa or Sweetened Semolina Halwa with dry fruits. See them off with respect after touching their feet and seeking their blessings. As per Vedic Astrology, Goddess Mahagauri controls the Rahu planet. Worshiping her with your whole heart can help to reduce bad effects of Rahu. Durga Puja is a big event in West Bengal, Assam and Odisha and celebrated with full festivity. It is also called as Maha Durgashtami in various cultures. Nine pots are kept next to each other representing nine different forms of Maa Durga and worshipped everyday. Along with that, Kumari Pujan, a tradition of adorning and worshipping young girls, is also carried out. AstroSage wishes all of its readers a very Happy Ashtami. We pray to Maa Durga to bless you and your family with all the bliss and prosperity. Praise Maa Kaalratri on the seventh day of Navratri! Read the significance of this day, beliefs and rituals which must be followed while performing a grand puja. Along with this, get a brief idea about the importance of Durga Puja’s first day. The whole nation has drowned itself into the pool of festivity and celebration this Sharad Navratri. Every holy place, temple or shrine is witnessing swarms of devotees and worshippers lining up to take the blessings. Today, i.e. 27 September 2017, is the seventh day of Sharad Navratri and the first day of Mahasaptmi Durga Puja in West Bengal, Assam and Odisha. Read this blog and get a quick idea about the significance of Navratri’s seventh day and Durga Puja. Navratri basically celebrates nine different forms of Goddess Durga throughout nine days. The seventh day is dedicated to Maa Kaalratri, who is known as the destroyer of evil and demons. Also popularly known as Devi Shumbhkari, she is depicted in the most fierce and aggressive form ever. Her mount is Donkey and her complexion is severely dark with scattered hair adding to the effect. Her three red-blooded eyes scream agony and massacre and she breathes fire on her enemies. She is said to have four arms, out of which two are in Abhayamudra and Varadamudra and two contain a curved sword and hooked vajra. It’s well known that anyone remembering her or chanting her name will be safe from bad omens, spirits or possessions. Before starting the ritual and prayers, worship every god, goddess, holy place, planet, local deity etc. invoked in the kalash or urn at the beginning of Navratri. 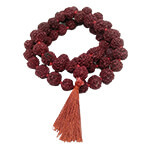 Begin the chants and remember Maa Kaalratri with a flower in your palms. Carry out the Panchopchar Puja and use red flowers, vermillion, saffron, unbroken rice cakes etc. for the ritual. Sing the aarti and light up camphor cubes drowned in ghee or clarified butter. Apologise for any mistakes in the end. Saptmi or the seventh day of Navratri signifies the day of worshipping and praising Maa Kaalratri and her win over evil and sins. For preachers and yogis, this is the best day to gain knowledge of power and add to your wisdom. On this day, devotees repent for their sins and try to accomplish the “Sahastrar Chakra”. It is believed that every ritual performed on this day works in the favour of worshipper. Even though portraying a terrifying appearance, Goddess is extremely compassionate towards her devotees. It is believed that she acts as a saviour to her devotees against evil spirits and demons. Worshipping her with a clean heart can result in a prosperous future. In many areas of West Bengal, Assam and Odisha, seventh day of Navratri is celebrated as the beginning of Durga Puja. it is recommended to perform Navpatrika Puja, which is also called as Kalabau Puja in several places. 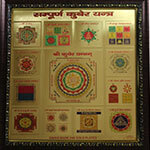 Nine different types of leaves depicting nine forms of Maa Durga are used to worship the Goddess. AstroSage wishes its readers a very happy Mahasaptmi and Durga Puja! Today is the sixth day of Sharad Navratri, and as believed, Goddess Katyayani is highly worshipped on this day. She is considered as the sixth form of Maa Durga. Read out this blog and know about the significance of this day, fasting rituals and how to please her. Portrayed as the fierce form of Maa Durga, Maa Katyayani is signified as her sixth form. According to Hindu mythology, Maa Durga was the daughter of Katyayana sage and thus named after the lineage. Worshipping the goddess with a whole heart and clean conscience while following rituals will surely help you fulfil your dreams. Goddess Katyayani is depicted as a lion-riding, magnificent and fierce entity with four hands. Two of her hands carry Abhaya and Varada Mudras and the other two carry lotus and sword. She dons red-coloured clothes and is hailed as the Ultimate Warrior. In order to put an end on the evils of Mahishasura, Goddess Parvati took the form of Katyayani and killed the demon. Pour Gangajal into water and take a bath before sunrise. Keep coconut on the top of the urn. Cover the urn with a sacred cloth or chunni and bind an auspicious thread or kalawa around its neck. Mix Vermillion or Kumkum, Turmeric and Rice together, make a paste and apply a Tilak on Goddess Katyayani’s picture or idol. Pour one teaspoon clarified butter or Ghee into the diya and light it in front of the idol or picture. Offer her honey and later distribute the holy prasad after singing the Aarti. 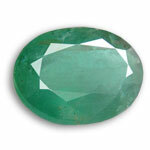 As per the realms of astrology, Goddess Katyayani controls the Jupiter planet. 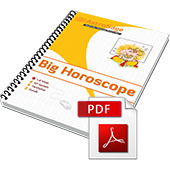 This helps to eliminate negative effects of Jupiter from devotees’ horoscopes or Kundli and offer favourable results. Being a mega event, Durga Puja is colorfully celebrated within the regions of West Bengal, Assam and Odisha. It begins with the sixth day of Navratri and celebrates the presence of Maa Durga on Earth. It was on this day that the fierce goddess came on Earth and graced humankind with her appearance. As per traditions, the rituals for Bilva Nimantran Pujan, Kalpaaranbh, Akaal Bodhan, Aamantran and Adhivaas are conducted. AstroSage wishes you a very Happy Sharad Navratri 2017. We hope Goddess Katyayani’s blessings always stay with you. Navratri Week will remain good for all. Read out these predictions and get an idea about circumstances awaiting you the following week. ARIES: This week seems a bit stressful for you. The pressure from office might become too difficult for you to handle. You might experience lack of contentment at work and face wealth issues and heavy expenditure. Although after midweek, situations would improve in your favors. This week will be interesting for children but the weekend doesn’t seem to be as approving. Students will perform well. You need to work hard professionally to gain recognition. LOVE PREDICTIONS: For lovers, this week’s beginning will be a bit down, midweek good and weekend average. You will definitely feel a sense of attraction and love for your partner. There will be a lot of romantic talks. Communication between you two will improve. Avoid arguing on petty issues. Married couples will have a good time bonding with each other. Your spouse will be the source of happiness for you. TAURUS: It will be a good week for you. Your lifestyle and personality will improve. There will be peace and bliss in your domestic life and family members will be content. You will lead a comfortable life surrounded by exotic luxuries and indulgence. Your mother might face some health issues, so take good care of her. Short trips can prove to be beneficial for you. You will develop a religious perspective and organize events and ceremonies. Students will work hard and their efforts will bring good results. Children will be fine and comfortable throughout this week. Siblings might suffer and face some issues. You will be considered as a powerful figure at workplace. LOVE PREDICTIONS: Avoid ego clashes, and the rest of the week will go smooth for you. Beginning will be fine, midweek and weekend average. Married people might feel a need to run away from each other or even separate. Don’t stretch any issues that might create disturbance in your married life. Your spouse might gain in ranking position at work. REMEDY: Hoist a black flag inside a temple. GEMINI: This week seems positive and highly beneficial for you. Your health will drastically improve and you will experience tremendous energy, valor and enthusiasm. You will build a dominating presence and will be a tough competition for your opponents. In case you are stuck in any legal case, there are chances of you winning. You will attain profitable gains from government. Plan a short, good trip with your friends. You will be surrounded by a company of entertaining people. You will show full determination at work and might think of shifting to a new place. Drive carefully. Stay away from firearms, insects and coarse food. LOVE PREDICTIONS: It will be a good week. You will enjoy long walks and cool breeze. You will form new relationships full of cozy moments. The beginning will be average followed by a great midweek and weekend. Don't let your past affect your present. Married people will be blessed with marital bliss. REMEDY: Light a Mustard oil Lamp under a Peepal Tree. CANCER: This week you will feel a slight inclination towards antic artistry, craftsmanship and philosophy. You will find peace and solidarity within your surroundings and would often stay lost in deep thoughts. Your professional life will be smooth and quite profitable. You will help your siblings do well in their life. Children might suffer from low health. Students might face hurdles in studies. Constant efforts will definitely lead to success. LOVE PREDICTIONS: It will be quite a normal period. Beginning will be low and midweek and weekend will be good. Try to understand your partner and don’t get irritated with their efforts to improve the relationship. For married couples, it can be a tough week. Avoid doubting or arguing and respect your spouse’ viewpoints. Your spouse might face some health issues. So keep that in mind. REMEDY: Donate black Sesame seeds. LEO: This week will highly be in your favor and help you add to your personality and charm. Avoid ego clashes or bringing your ego on the table when in the workplace. Due to lack of contentment and peace, you will face major issues within your domestic life. Your financial conditions will drastically improve. Students will perform very well in studies. Children will enjoy every moment of their life. Siblings will remain supportive throughout this week and help you get through some tough times. Try to spend less money and save more. LOVE PREDICTIONS: Your love will blossom during this period. The beginning will be good but midweek and weekend will prove to be the best for you and your partner. You might get into a new, soothing relationship. For married couples, there are chances of you two indulging in a fight or heated argument. Avoid such situations and stay peaceful and calm. However, love will be the essence of your relationship and overcome the negativity. REMEDY: Pour water on the roots of Shwetark Tree. VIRGO: You might spend too much and exceed your limits. 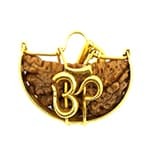 You will lead a comfortable life instilled with leisure and improve your appearance. Your domestic life will be good, and you might plan on purchasing or investing in property. Students will work hard to accomplish their goals. You may be asked to travel for a professional trip. Don't expect any favour from subordinates. LOVE PREDICTIONS: The beginning of the week is nice, midweek is good ending with an average weekend. You might feel certain emotions of separation brewing inside your mind. Avoid such moments of arguments and reignite your passion for each other. Stay loyal to your partner. It will be an ideal time for married couples to bond. Situations will be favourable for your spouse, although s/he might have health issues. There are chances of you going abroad with your partner. REMEDY: Feed dogs daily with chapati and milk. LIBRA: A positive week for you, although you might get irritated at times. You need to understand the issues between the family members and try to resolve it. There will be lack of mental peace due to hectic schedule at work. Students will do very well in their studies. This week will prove to be highly profitable for you financially. There will be a subsequent rise in social stature. Also you will enjoy the most with your close friends and family. LOVE PREDICTIONS: A positive week for you, starting with a slow beginning to a good midweek and ending with an average weekend. You will be thoroughly drowned into the ocean of love, feelings and romance. You might plan an outing, dineout, movie or pleasure trip. Don't force your views on your partner. In case of married couples, you might indulge in extramarital affairs. You need to understand what your spouse is expecting from you in case you want to lead a blissful life. REMEDY: Worship young girls and take their blessings everyday. SCORPIO: You will remain slightly confused and experience mental instability. However, you will perform well within your professional boundaries and rise to popularity. Do not expect much favours from your subordinates. You will gain governmental benefits. Avoid spending too much and gossiping within the office, as it can create issues between colleagues. Domestic life will be unstable. Students might plan to go abroad for studies. 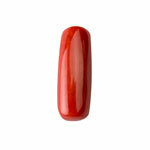 LOVE PREDICTIONS: Your beginning will be slow, midweek good ending with a progressive weekend. Try to spend some quality time with your partner and work on the rough edges. Avoid any kind of ego clash. It will be a great period for married couples. Presenting your lover with flowers seems like a great idea if you are already in love. If your are willing to enter in a relationship with your colleague, this is an ideal week. REMEDY: Offer pomegranate fruit to Goddess Durga during Navratri. SAGITTARIUS: Your main focus throughout this week will be increasing your profit graphs and finances. Long and multiple journeys would give you mental peace and prosperity. Your father can face some health issues. Your attitude towards work within your workplace will be admired. There are chances of you befriending high-ranking people. There will be an imminent rise in your popularity and status within social, professional and domestic circle. Your siblings might go abroad or distant places. LOVE PREDICTIONS: Positive week for love matters beginning is quite average midweek is very good weekend is good there might be a positive feelings in relationship you might want to marry with your partner relationship would gain strength for married couples this period would be off enjoy and feeling of togetherness you would a few good recognition in society as well as ryzen lock what the effects of your spouse their health might become quite low. REMEDY: Worship the Sun God and offer vermillion-mixed water (kumkum water) everyday. CAPRICORN: There are monetary gains and profits awaiting you this week. You will show immense dedication at work. Your domestic life will be peaceful and full of bliss throughout this week. You and your father both could face slight health issues. Avoid eating spicy or street-side food. Weekend will prove to be unstable. Children can irritate at times. Students would be laborious. There are chances of you paying off your bank loans or past debts. LOVE PREDICTIONS: This week will bring some good vibes to your love life. You will start off with creating good memories. Your weekend will be spent best with your lover. You could, at times, develop a feeling of detachment. If married, there can be misunderstandings between you two. Don’t take hasty decisions. REMEDY: Donate wheat grains on Tuesday and Sunday. AQUARIUS: You will be a thorough workaholic this week and might miss out on family occasions, small gatherings and events. This can create some issues within your domestic life. There will be lack of mental peace and you might see a rise in stress levels. Your career graph will improve. Children would be fine and full of energy but can be a hindrance on certain occasions. Students would require proper guidance to act properly. Perform some virtuous deeds. LOVE PREDICTIONS: An ideal period for lovebirds to strengthen their relationship. The beginning and weekend will be average a good midweek. There are chances of you planning to marry your lover, although you might face some strong opposition. Married people will experience a mixed period. Avoid arguments and enjoy a good time together. REMEDY: Feed cows with fodder. PISCES: There are chances of you going out on a long journey just to clear your head. Your father might face health issues and need to be taken care of. You will earn good and add to your bank balance. You might plan business trips which can prove to be beneficial. Domestic life will be surrounded with arguments and stressful tiffs. You can face some property issues. Avoid debating or arguing. Children can be a bit of a tension during this week. Students will perform well and add to their intellectual skills. There can be some issues with your siblings. You might feel inclined towards spirituality. You have to wait for the work to be done at your workplace and have to remind so as to get it completed. LOVE PREDICTIONS: There will be an increase in the urge of being together with your partner. Beginning of the week is average, midweek good and the weekend will be best. However; sometimes a feeling of detachment might occur. You might plan a long trip with your partner. If married, spouse's health will be a major concern. REMEDY: Worship Lord Shiva and offer Kewra perfume.